Textbooks must be in good condition, no rips, tears, or extensive marking in texts. 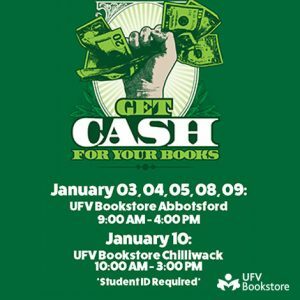 To receive the best price for your textbooks, the textbooks must be current editions that the bookstore will be using for next semester’s courses. Don’t forget your Student ID.